Providing an effective teaching and learning environment is the primary goal of all educational institutions. Traditionally, administrators concentrated on providing faculty with the tools to properly deliver the curriculum and structuring the learning process to sufficiently engage students. 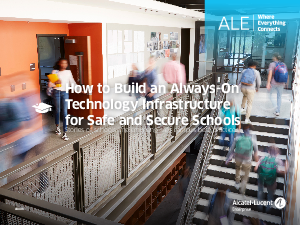 But, violent incidents over the past decade along with government regulations have put pressure on administrators to focus on the physical security and safety of staff, faculty, and students.